With a simple software upgrade, wireless audio pioneer Sonos is getting rid of the need for a Sonos Bridge. Instead, users will now be able to directly connect Sonos’s multi-room wireless speakers to their Wi-Fi network. 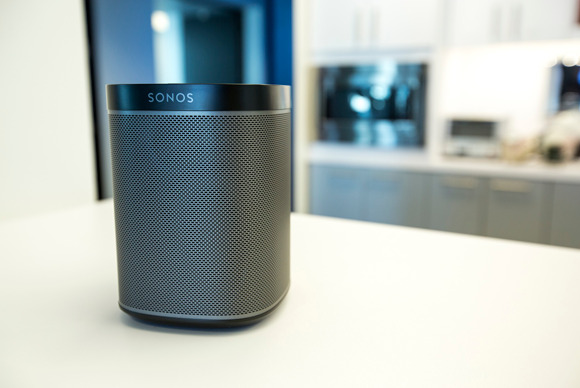 Prior to the release of Sonos 5.1, users needed the Sonos Bridge, a small unit that had to be connected between a router and Sonos’ wireless speakers, creating a mesh network for connecting the speakers wirelessly around the home. The Sonos 5.1 update gives you the option of setting up your home audio system without a wired Bridge connection to your router. In a blog post, Sonos said the 5.1 update would make it easier for people to get started with the multi-room home audio system. The update is available for download. The fact that Sonos is now able to eliminate its Bridge speaks to how much home networking technology has evolved since the company’s 2002 debut. In those days, home Wi-Fi was nowhere near as common, and the systems that existed lacked the speed and data throughput we’ve become accustomed to these days. As a result, it made sense for Sonos to include the Bridge in its wireless audio systems, because that unit ensured that the system had access to a reliable, robust wireless network. Sonos began beta-testing an all-wireless approach back in April. Sonos recommends sticking with the Bridge in situations where Wi-Fi doesn’t cover every room in which users want to put Sonos speakers. As well, Sonos 3.1 and 5.1 home theater setups still require wired connections, although a standalone wireless HiFi Playbar does not.